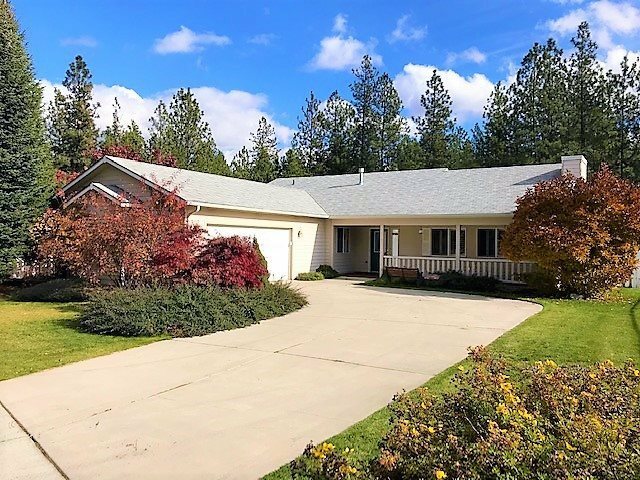 5958 Blackstone Way, Nine Mile Falls, WA.| MLS# 201826474 | Cooper Realty Services (509) 599-1111 | Spokane WA Real Estate | Contact us to request more information about our Homes for Sale in the Spokane WA area. Come see this bright 3BR, 2BA rancher with 2 car garage in desirable Blackstone Gated Estate. Gas fireplace, central A/c, custom wood blinds, covered front and back porch/patio. Master bedroom with walk-in closet, full bath, double sinks and patio door. Community Rec Center has heated indoor pool, hot tub and large recreational room for party or meeting. HOA covers front lawn care, street maintenance & club house. Near 80 acres of hiking. Membership to Long Lake 5 acre private beach access available.